We are all sinners, and we all need mercy. If met with sincerity and true repentance of heart, an encounter with God’s unconditional and all-forgiving love will lead to true conversion and a new life of grace. There is no point to condemnation or excessive punishment. We do not need to wag fingers or make people feel inferior. Jesus met the woman caught in adultery with compassion. He did not condemn her. People have not always been faithful to God. We have not always been faithful to God. Yet, God waits for us to return and trusts that His seeds of forgiveness and mercy will take root. We do not know if the woman left Jesus and sinned no more. It’s not important. The family based and youth ministry programs of Immaculate Conception and the family based religious education program of the parish of Mary, Mother of Mercy, are joining together to raise money to help rebuild the San Juan Bautista Catholic church in the Dominican Republic. The breakfast will be held on this Sunday, April 7, from 9:00 a.m. to noon at Immaculate Conception church parish hall. The cost is $6 per person, $5 for senior citizens, and $20 max per family. Children 3 and under are free. It was reported on March 26 that 106 parish households pledged $30,072 to the Catholic Ministries Appeal (CMA). We reached and surpassed the given goal of $29,979! This is exceptional and good news. A “thank you” to all who have made this possible. Be aware that our parish will receive back 50% of what is contributed now that we have exceeded our goal. Those wishing to make a pledge to the CMA can still do so. The CMA provides funding for important ministries, services, and programs that support our parish and strengthen our whole church. The diocesan “Sharing our Blessings Weekend” to promote the Catholic Ministries Appeal is this weekend, April 6–7. Bishop Salvatore R. Matano will celebrate the annual Chrism Mass at the Cathedral of the Sacred Heart on Tuesday, April 16, at 7:00 p.m. During the Chrism Mass, the Oil of Catechumens and the Oil of the Sick will be blessed, and the Oil of Chrism will be consecrated. At the conclusion of the Mass, parishioners may obtain the oils and bring them back to their parish churches. Please let Fr. Bernard know if you intend to attend this year’s Chrism Mass. On April 18, Holy Thursday, there will be a 7:00 p.m. Mass of the Lord’s Supper at St. James the Apostle. April 20, the Easter Vigil in the Holy Night will occur at 8:00 p.m. at St. Francis Solanus. Easter Sunday Masses will follow our regular Sunday schedule: 9:00 a.m. at St. James and 10:30 a.m. at Holy Cross. Next Sunday, and every second Sunday of the month, please bring non-perishable food items to St. James Church. You may place the items in front of the statue of the Blessed Virgin Mary. Monetary gifts are also welcome. A reminder that April is one of the months for St. James/Mary, Mother of Mercy, parishioners to help-out with the local food pantry at Trumansburg United Methodist church. See the sign-up sheets in the St. James foyer as there are various times and tasks still available on April 15 and 29. Also, the pantry’s main fundraising campaign is occurring now through the month of April. Please make checks payable to “Trumansburg Food Pantry” and mail it to PO Box 162, Trumansburg, N.Y. 14886. Your support helps the Food Bank of Southern Tier Backpack Program for Trumansburg Central School District students and maintains an emergency hotline for those in need of immediate food assistance (607 387 8260), in addition to the regular food pantry distribution. Thank you for your support! Spring cleanup day for our parish cemeteries (Holy Cross and St. James) will be April 13. Please have all previous seasons’ decorations/flowers removed and disposed of off site by April 12. Anything left will be removed, as the cemetery manager deems appropriate. Social media got you down? Come and follow Mary, Mother of Mercy, on Facebook and Instagram! Both platforms will keep you updated on parish events (including photos), and the church community. It is also a good way to view positive devotional messages. 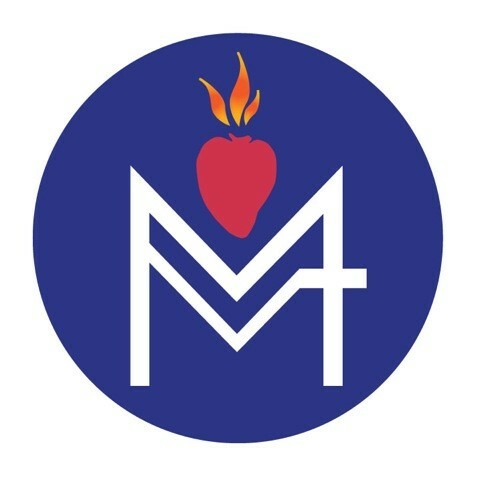 The Facebook link is www.facebook.com/marymotherofmercyparish, and on Instagram you can find us at @marymotherofmercyparish. If you have something you would like to add to our parish pages, please contact Susan Guydosh at smguydosh@gmail.com. On an average in February there were 55 people at the 5:00 p.m. Mass on Saturday at St. Francis, and, on Sunday, 89 attended the 9:00 a.m. Mass at St. James and 75 parishioners were at the 10:30 a.m. Mass at Holy Cross. The average Mass collections during this month were: $708 at St. Francis, $802 at St. James, and $669 at Holy Cross plus $2,261 from parishioners participating through WeShare online giving. There will be a day of prayer on Tuesday of Holy Week, April 16, at Notre Dame Retreat House in Canandaigua, N.Y. The day’s theme is “Praying the Psalms” and it is presented by Dr. Joseph Kelly, Professor Emeritus of Religious Studies at Nazareth College of Rochester. The day begins at 9:00 a.m. with morning coffee and concludes at 3:00 p.m. after confessions and Mass. There is a $25.00 fee payable on the day of the retreat. Please call 585-394-5700 or email: ndretreat@rochester.rr.com to register. This year’s conference is entitled “Open Wide Our Hearts: The Enduring Call to Love” and is an opportunity to learn about the U.S. Conference of Catholic Bishops’ recent pastoral letter on the sin of racism and how to promote this teaching in your parish. The conference is open to pastors, parish staff, and parishioners, especially parish council members, religious education teachers, youth group leaders, and social ministry committee members. The conference will be held on May 2, beginning with Mass at 10:30 a.m. at the Notre Dame Retreat House, 5151 Foster Road, Canandaigua. There will be workshops on Catholic social teaching issues and their connection to racism and social division, including farmworker rights, pro-life issues, and care for creation. The registration fee is $20 (including lunch) and is due April 26. For more information, or to register, contact Kathy.Dubel@dor.org or phone 607-734 9784. April is Child Abuse Prevention Month. Since 1983 the number of abused children has grown from half a million to over 6 million along with 1,600+ children dying annually as a result of their abuse. These numbers do not include missing or children exploited through trafficking. Additional resources including videos and fact sheets, are available online at www.bluesunday.org. Blue Sunday is a national faith-based movement to pray for victims of child abuse and for those who rescue them on the last Sunday of April, April 28. Parishioners participating in the Catholic Relief Services (CRS) Lenten Rice Bowl program may bring their full CRS Rice Bowl to Mass, or count the amount in the bowl and write a check to Mary, Mother of Mercy, with a memo “Rice Bowl” and deposit the check in the weekend collection. You can also give online at crsricebowl.org/give. One can still participate in this Lenten program. Rice bowls are available in the foyers of the churches. The Dyke, Brown, and Lange Memorial Scholarship is awarded to a college-bound senior (university, college, business, or vocational school) who has been actively involved in their school and community, displayed excellent citizenship and sensitivity to the needs, concerns, and feelings of others, and who has a positive outlook on life and the future. Applications for the scholarship may be obtained at the Trumansburg High School Guidance Office or through the following link: https://fpcu.info/our-community/memorial-scholarship/. Please return the application by April 15, marked Attention Scholarship Trustees, to the First Presbyterian Church of Ulysses, P.O. Box 597, Trumansburg, N.Y. 14886. A video is available to help you understand the different procedures of abortion at different stages of fetal development. Go to: https://www.liveaction.org/news/court-rules-ohio-defund-planned-parenthood. St. Francis at 8:00 p.m.
St. James at 9:00 a.m.